Financial crisis, financial schmisis! London remains a vibrant world capital rivaled only by New York in the Western world for sheer fabulousness. Sure, the United Kingdom's new coalition government is braying about belt-tightening fiscal austerity measures, but you'd never know it in the hustle-bustle of Europe's still-reigning financial capital. For anyone who visited during the grim Thatcher years, the transformation of this gritty, nearly collapsed city to the pulsating capital it is today is nothing short of miraculous. London's an exciting city that just gets better, and it's a great time for Americans to visit. While it is still one of the most expensive cities on the planet, the exchange rate has not been this favorable for some time, recently hitting a low of about $1.44 – still pricey but 20 percent less than the summer of 2009. 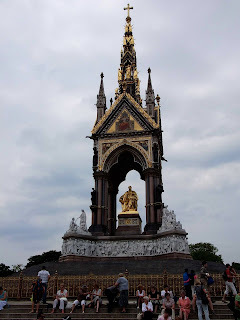 On a recent trip, I was inspired by The Young Victoria, a charming movie depicting the early years of Queen Victoria's rise to the throne as well as her courtship with and marriage to her cousin Prince Albert from Germany. A modern-seeming marriage – she had to propose to him due to protocol – Victoria took care of state affairs, and he was head of the family, a role he truly owned. He also headed up numerous commissions, including organizing the very important Great Exhibition of 1851.They had a great love affair and, though Albert died of typhoid at 42, they had nine children. Victoria lived in a state of mourning till she died nearly 40 years later at the age of 81. Your first stop is the Victoria and The Albert Museum. The museum, whose dedication was Victoria's final official act, does not contain much work or many artifacts from their life, but it is well worth a visit. The museum also hosts the marvelous Grace Kelly Exhibit through Sept. 26, 2010. Get tickets in advance. To understand their life together, check out the Queen's Gallery, a small museum next to Buckingham Palace. You can see "Victoria and Albert: Art & Love" through Oct. 31, 2010. It shows how important art was to the young couple. 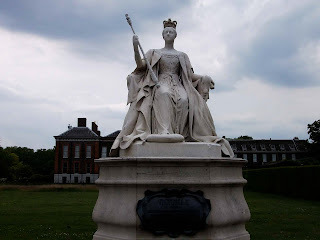 The pieces were either commissioned by Victoria or Albert; gifts to each other; or objects gifted to them, including a fabulous pre-fabricated (for easy shipping) carved-ivory throne from India. 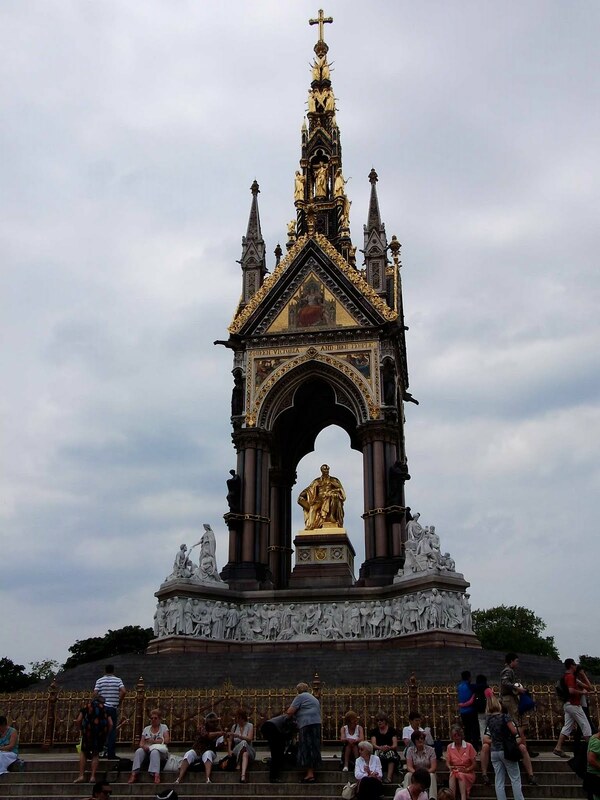 Be sure to check out the Albert Memorial, a gorgeous monument in Hyde Park across from The Royal Albert Hall. This lovingly designed monument celebrates Albert's support of and passion for the arts, sciences, and learning. The final stop of the Victoria tour is Kensington Palace, home to seven princesses including Victoria, as well as Princess Diana, and other important, often tragic, royal British women. The current exhibit, "Enchanted Palace", is an out-of-the-ordinary interactive experience, part poetic fairy tale, part whodunit where visitors at each of the allegory-laden displays must interpret hints, fragments of poetry, and other visual cues to suss out the princesses who resided here over the past 300 years. Visit the fantastic Natural History Musuem, which is located next door to the Victoria and Albert Museum, for the dinosaurs and vast number of curiosities and marvel at the splendid Victorian museum building itself and the creative, we-can-do-anything spirit of the age Victoria helped create. In London visit the LGBT Tourist Office at 30 Lisle Street, Leicester Square or go to London LGBT Tourist Office Website.